If you are suffering or caring for someone who is suffering from mobility problems, you will know how useful specialist disability equipment can be. Thankfully, there are financial help available to help you afford the mobility equipment that you need. BaKare Beds are suppliers of special needs beds and mattresses, and supply individuals in addition to institutions. In many instances, equipment is funded by charities, social services, privately or even a combination of all three, and BaKare have over 26 years of experience dealing with these complex types of equipment purchases. If you have queries relating to cost or funding options, please contact us and we may be able to offer guidance. Your local social services department may be able to assist in providing specialised mobility equipment such as beds after assessing your circumstances. It’s worth contacting them to see if they can help you, especially if your situation is affecting your whole life. Other local authorities may also be able to help with various purchases or home adaptations. Normally a member of their occupational therapy team will assess your needs & may recommend equipment to help you with mobility in and around your home. BaKare have vast experience of dealing with equipment funded in part or full by social services and encourage the use of an occupational therapist to ensure the product is correctly assessed against the users needs – in fact, many occupational therapists recommend our products to clients. If you would like further information on options for funding via social services, our trained advisers may be able to help. Further links on social care from Dept of Health. Some charities can offer financial help towards buying mobility equipment. Some of these will only be able to offer some of the funding, but others will be able to provide full funding. Your best bet is to contact them and ask about their funding policies. Before they will accept your funding request, most charities will ask for a letter or report from a healthcare professional that outlines your personal circumstances and mobility requirements. If this is the case for you, you can ask someone like an occupational therapist, as he or she should be able to provide you with this. If your situation involves a medical condition rather than a disability, you can contact the head office of the condition’s Society (for example, the Multiple Sclerosis Society) to see if they can provide some funding for you. BaKare have traditionally been suggested or recommended by charities such as the MS Society and commonly have clients products funded in full or part by these. If you would like further information on charities which may be in a position to assist, our trained advisers may be able to help. Charities are not supposed to give grants for items that are covered by state sources. However, means-testing regulations under state help such as Disabled Facilities Grants can create shortfalls between the amount funded, and the full costs of the equipment required. Sometimes, assessments of what families can pay appear unrealistic, and where this is the case it should be stated when applying for charitable funding. Also, changes arising from tightening of eligibility criteria and Community Care legislation are creating new areas of unmet need. If applying to a charity because state provision is clearly not adequate, it should be made clear in the application that all possible state sources of funding have been exhausted, but there is still a shortfall. Supporting documentary evidence is useful. Your local authority is obliged to give you this if your circumstances fit the criteria. You can get an application form from your local authority. Further information on Disabled Facilities Grants. Sometimes, a loan may be the only option, but please don’t take one out unless you have the means to repay it (plus the interest). You will also need be vigilant of high interest rates (typically in excess of 20% a.p.r.) sometimes quoted to people in need of specialist disability / mobility equipment. If in doubt, please consult independent advice. BaKare do not offer finance on our products, but are licensed under the Consumer Credit Act and have experience of purchases financed by third party lenders. Occasionally, the requirement for mobility equipment may be as a result of an accident or work or traffic accident and insurance companies will often cover these costs whilst using an private occupational therapist to recommend suitable products. 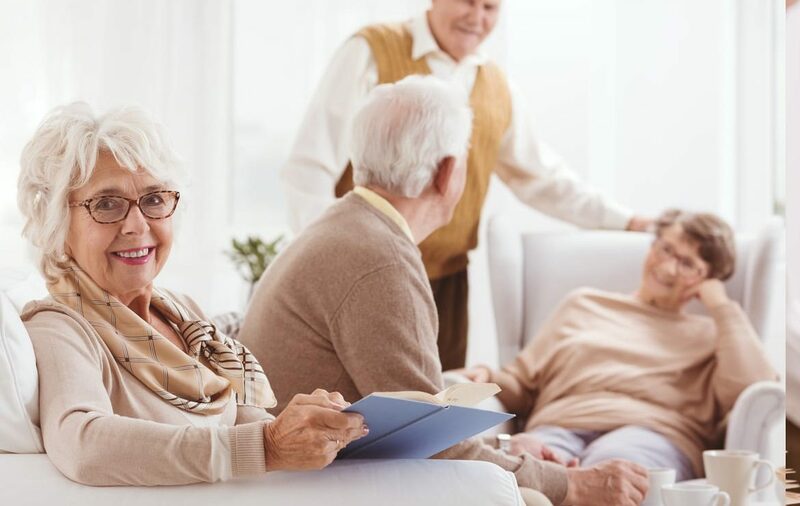 BaKare have a high reputation for the provision and maintenance of long term care products and are often recommended by legal bodies, insurance companies and private occupational therapists and case managers. People with disabilities don’t have to pay VAT on equipment which has been designed solely for disabled people. Products which are eligible for this VAT relief are referred to as ‘zero rated’. All of BaKare’s beds are zero rated for VAT and qualify for VAT relief. You will have to sign a form confirming that you are disabled and that the item is for your personal use, rather than for commercial or business purposes and the VAT is deducted at the point of purchase. Further reading from HM Revenue & Customs Guidance. A leaflet has been produced by the Children’s Equipment Section of the British Healthcare Trades Association (BHTA) along with Newlife the Charity for Disabled Children to help you understand your legal rights to assistance with the cost of getting the equipment or adaptations your disabled child needs. The leaflet can be downloaded here. BaKare products & services are often recommended by occupational therapists, charities and insurance companies & have vast experience of dealing with equipment funded in part or full by one or a combination of different sources. Our trained advisers may be able to help put you in touch with organisations who may be able to offer financial assistance. Please do not hesitate to contact us.